The turn in weather this week and the impending return to school has got me thinking about what items to add to the autumn/winter wardrobe. Having a limited budget means I need to shop carefully, buying just a few key items that will tie in with what I already have, while giving a nod to the key trends of A/W 12. The military look is in the shops again this winter. I'm not normally a fan but I love a nice mac and this coat is a nod to the mac but warmer. I always buy a winter coat every year. I love how you can throw a nice coat over anything and you look 'together'...it's the ultimate forgiving item of clothing. 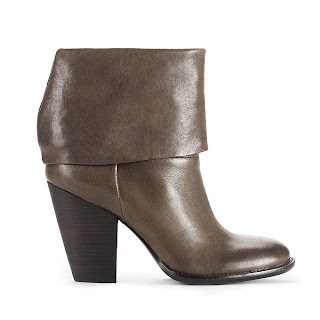 I am so in the market for a pair of grey/taupe ankle boots. 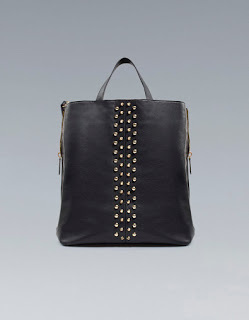 The other week, I came across Vince Camuto's website via Poppy's Style. They have an amazing sale on at the moment but unfortunately don't deliver outside the US. 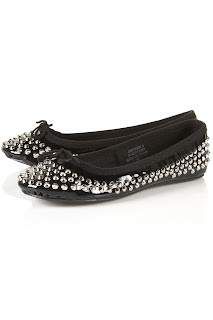 However, they tell me they are coming to the UK very soon in a tie up with Kurt Geiger. In the meantime, my US bestie may be taking a delivery on my behalf...I'll be in touch Megan! Purple is huge this autumn winter. It's one of my favourite colours so I'll be investing in a pair of jeans like these ones from H&M. As with most autumns, jewel colours abound so bottle green, deep reds and vibrant blues are in all the shops. 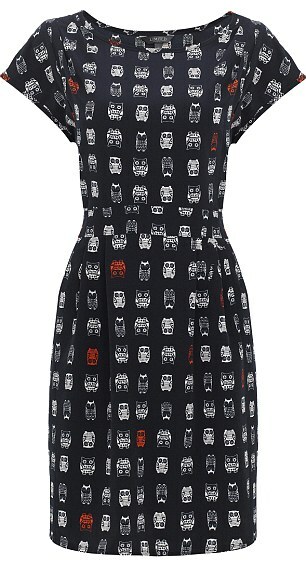 And had you heard about the Marks & Spencer Owl Print dress that sold out in days just the other week? Hopefully more stock will arrive soon but if you can't wait - it's available on eBay at a vastly inflated price. Which brings me nicely to one of my A/W resolutions. I am going to wear more dresses. Watch this space! I've already got one in the bag - which I'll be sharing with you soon. I want to get hold of the Owl one above too (please PM me if you see it back in stock!) and I'm on the look out for a third - still undecided on style/colour but it will be quite casual for day to day wear. Final trend for this post - studs. It seems like nothing is safe from a stud or fifty this autumn. Zara have this great shopper which nods to the trend without being a health and safety hazard..
Oooh - didn't know about the Owl dress selling out - I've not had my ears to the ground at all this last couple of weeks. One owl tee for me is enough so I've done my nod to the Owls but I like the Vince Camuto boots - they have a touch of the Rag & Bone ones which retail for £300+ so nice find. I need to find a shopping buddy in the US who can post to me too. I am so excited for military and purple this Fall. I LOVE, LOVE, LOVE that fabulous coat! Gorgeous! Love all your great finds. love love love that owl dress! please make loads more M&S!!! i just cant help it - im addicted to bird print - loving the scarf too! yeah wasnt 100% with the boots, havent taken label off them yet but id say ill keep them! I joined a network in Dublin where you can shop in the states and they give you an American address then they arrange sending the stuff on from there, it's a warehouse or something. Anyhow it works well. You do pay a bit extra but as u get free postage to that address you are only paying what postage u would have to pay for a normal package from abroad and it works for companies who don't post out of the states. It's called shop America I think. I'll find out for you. U get a special customer number and it's all above board. Love the owl prints. 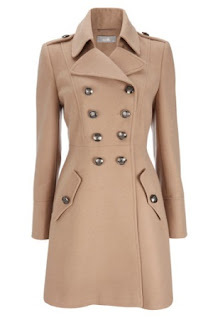 What a great price for the Wallis coat! I need ankle boots also ...these look great! I have THAT owl dress and it is gorgeous, same style as the green humming bird one worn by Denise Van Outen earlier in the year. I had no idea it was so popular, just do a regular trawl at the Ltd Collection on the website and came across it. I also bought the fox t-shirt which is cute!! I have my eye on a Great Plains coat in taupe for winter.... i agree with you though about buying carefully!! I'd love a good coat for winter too and I think I'll be wearing maxis and jumpers. Good luck with the owl dress hunt! Love the first coat and its so affordable! I also love wearing deep purples during fall. I can't wait until it starts getting cooler here. I'm having an end of summer giveaway on my blog, would love it if you could pass by and enter. Oh wow, that coat and those booties are perfection, I think my mouth is actually watering. love that whole plum outfit and that cute zara bag. perfect additions for fall! Great idea for a post and some wonderful selections. That military coat and owl dress are awesome! Hello dear!! Thanks a lot for your visit and kind comment on my blog!! I find yours very insteresting, would you like to follow each other?? Let me know!! BTW I like your selection specially the Wallis coat!! 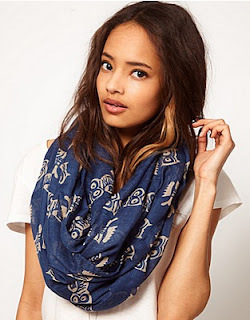 I totally want that owl print scarf!